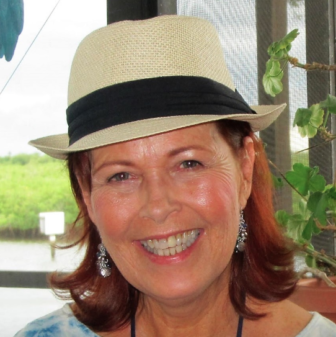 Alison Jayne Kelly, 58, of Safety Harbor, Florida, passed away on Sunday, January 13. Alison Kelly, 58, passed away on Sunday, Jan. 13. Her wake and funeral are scheduled for Friday, Jan. 18. She was born in Neptune, New Jersey on Aug. 5, 1960 and was the daughter of the late Eugene and Joan O’Brien Kelly. She lived in Asbury Park, New Jersey and Deal before moving to Mountainside, New Jersey where she spent her formative years. She graduated from Our Lady of Lourdes and attended Union Catholic High School. Her family moved to Darien, where Alison graduated from Darien High School. After graduating from Boston College, she earned her certification in American Sign Language from Gallaudet College in Washington, D.C., where she taught for a short time. She then worked in communications and television for over 10 years. Alison was a devoted daughter who had many wonderful years with her father sharing their love of music, board games, magic and entertaining friends and family. She was a consummate aunt, blessed with three nieces and six nephews. They were her pride and joy. She was devoted to spending quality time and kept abreast of all their comings and goings. Each one of them will miss their Aunt Ali. Alison was generous of heart and very thoughtful. She never missed a birthday across our extensive family and kept the post office busy with continuous gifts and note cards for family and friends just to make them smile. She spent summers in Spring Lake with many aunts, uncles and cousins by the dozen. She loved a day on the beach with a good book, with friends and family close by. Alison had a deep faith because of her Catholic upbringing and had a sensitivity for those less fortunate. She made time to volunteer in her community to serve others. Alison left behind a lifetime of dear friends. She was predeceased by her father, Eugene F. Kelly, in 2016, and her mother, Joan (nee O’Brien) Kelly, in 1990. She was also predeceased by her beloved brother, Mark O’Brien Kelly, in 1994; a sister, Adrienne, in infancy; a niece, Ashley Kelly, in 2008; her maternal grandparents, Jack and Treasure O’Brien, and her paternal grandparents James and Elizabeth Kelly. She is survived by her brother and sister-in-law, Dr. Paul F. and Karen Kelly, of Newtown; her sister and brother-in-law, Kathleen and Jeffrey Willard, of Landenberg, Pennsylvania; and her sister-in-law, Katie Hessels of New Haven. Also surviving are her beloved nieces and nephews: Adam, Ian, Connor, Matthew, Brendan and Meagan Kelly, Tracy and JR Willard. She had a very special place in her heart for Wade, Catherine, Ella and Luke Brogno who brought much joy and laughter into her home. Visitation will take place from 8:30 to 10 a.m., Friday, Jan. 18, 2019 at O’Brien Funeral Home, 2028 Hwy. 35, Wall, New Jersey, followed by a Mass of Christian Burial celebrated at 10:30 a.m. at St. Catharine Church, 215 Essex Ave., Spring Lake, NJ 07762. In lieu of flowers, donations in Alison Kelly’s memory may be made to Ocean’s Harbor House, 808 Conifer Street, Toms River, NJ 08753. Online condolences may be left at the funeral home website.